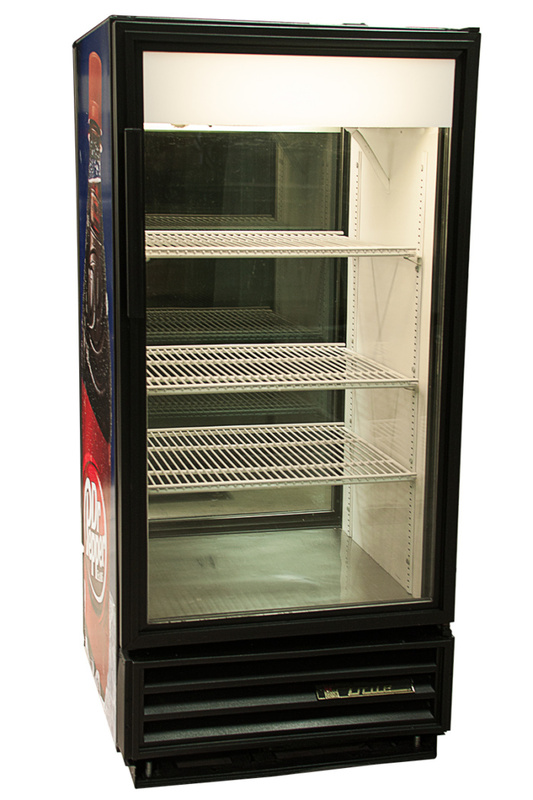 True GDM-10 double sided refrigerator with Dr. Pepper graphic. This unit is designed with doors on both the front and the back of the refrigerator. It is perfect for use at the end of an aisle or as a center island piece.